The Caribbean Islands, also known as West Indies, are composed mainly of the Caribbean Sea, its surrounding coasts, and more than 7,000 islands and islets, coral reefs, and cays. This chain of islands houses a very diverse ecosystem and remains the best and favorite holiday destination for tourists. Conservation International, an environmental organization, considers the Caribbean Islands as one of the biodiversity hotspots in the world. Weather in the Caribbean Islands is observed to be consistent throughout the year, although it greatly depends on the island you plan to go to. The islands in the Southern Caribbean region experience less fluctuations in weather compared to the islands in the Northern Caribbean area. Average temperature during the warm months, usually during the months of July and August, is recorded at 82.4º F or 28º Celsius. Meanwhile, the cool months in the Caribbean Islands recorded an average temperature of 75.2º F or 24 º Celsius. These islands are frequently visited by tropical storms and hurricanes, at an average of nine to 10 months annually, most especially during the months of June to December. Whenever we hear of Caribbean Islands, the very first thing that comes to mind is its beautiful beaches. However, aside from the beaches, Caribbean Islands also feature a number of outdoor activities that every tourist will surely enjoy. Among the famous holiday destinations in the Caribbean islands that offer lively outdoor activities include the Virgin Islands, Antigua, St. Barths, The Genadines, St. Lucia , and St. Martin. These islands provide opportunities for every tourist to experience water skiing, jet skiing, canoeing, kite boarding and parasailing, scuba diving, snorkeling, and yachting. 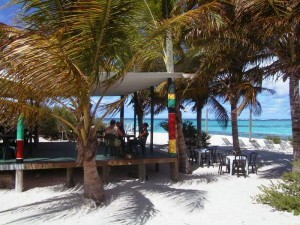 The islands of Antigua and Barbuda are among the favorite destinations for water sports in the Caribbean. Antigua is a good boating and yachting destinations while Barbuda is for those who want to go snorkeling and scuba diving. Barbuda is considered as one of the best diving spots because of its caves, coral reefs, and wreck that houses stunning marine species. Meanwhile, the British Virgin Islands, also known as nature’s little secrets, is a famous destination for sailing and island hopping. It offers true and unforgettable Caribbean adventure with its beautiful view of the islands. Visitors of Jost Van Dyke can also choose a variety of outdoor activities like water sports, shopping, dancing, touring, beachcombing, sunbathing, and other activities. The Caribbean Islands also have four national parks. Dominica, located between Martinique and Guadeloupe islands, is where the Valley of Desolation and the Boiling Lake are found. Grenada, which is rich in cool waterfalls and lush rainforests, is a scenic and accessible hiking area. Bonaire is where the Washington-Slagbaai National Park is located, which serves as home to a diverse species of birds and offers spectacular view of the islands. Curaco is considered to be the busiest of all islands. Among its three former plantations and the best area for hiking is the Savonet, which occupies a big portion of the park.